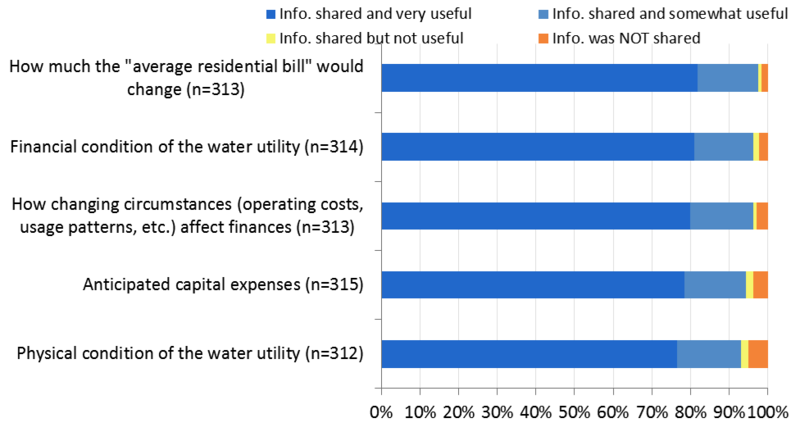 Our first post this week presented overall findings from a survey conducted on communication between staff and elected officials regarding water utility finances. As many would assume, a solid working relationship between the two parties is important to achieving a rate increase that provides full-cost recovery. But, when hearing a rate case, what information matters most to elected officials? 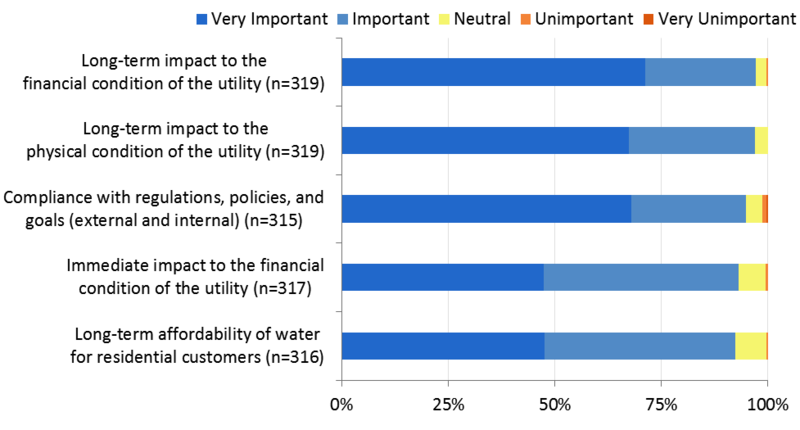 The survey asked elected officials what kind of information is the most important in helping them make the best decision about a rate increase for the water utility. It also asked administrators what they believed to be the most important information to share with elected officials. This allowed a comparison to be made between elected officials’ and administrators’ responses. What Information Matters Most to Elected Officials? How important is each of the following factors in informing your decision to raise or not raise water rates? The sample of 1,408 administrators also placed long-term impact to the financial and physical conditions of the utility at the top of their “need-to-share” list. However, administrators underestimated the importance elected officials placed on compliance with regulations, policies, and goals, which means that they could tailor their rate case to emphasize this a little more. Furthermore, administrators overestimated the importance elected officials placed on affordability for residential customers, immediate impact to all customers’ bills, and the ability of elected officials to easily explain the need for a rate increase, which means that administrators could focus on these factors a little less. Please indicate which information was shared with the local government governing body during the last rate adjustment request, and rate how useful this information was in your consideration of the rate adjustment. This list matched the top-5 pieces of information identified by administrators. However, administrators thought information about anticipated rate adjustments in the next few years was less useful than elected officials reported. Administrators also thought bond covenants were more useful to know about than elected officials did. But despite the few minor disagreements, administrators and elected officials were mostly on the same page as to what information was shared in their last rate case and what was most useful. Does the Frequency of Meetings Affect Message? We also looked at whether information shared varied by how often administrators met with their elected officials to discuss utility matters. Again, we looked at how the sample of elected officials and the sample of administrators ranked each topic, respectively. Whether administrators and elected officials met every 1-2 months or less than once a year, the information administrators shared stayed the same. Out of the 15 topics we asked about on the survey, administrators believed that each topic was consistently useful to elected officials regardless of how often they met (administrators did not change their rankings of any one topic more than 2 spots). Does the Messenger Affect the Message? Our survey also asked who delivered the last rate case for the utility. We found that the information shared and perceived as useful by administrators and elected officials did not vary whether the messenger for the rate case was the city or county manager, utility director or staff, or an outside consultant. Administrators and elected officials did not significantly alter their rankings of topics regardless of messenger. This survey has provided a very rich dataset that lends itself to various analyses. This post touches on just a part of what we have learned, but it offers perhaps some of the most important lessons we have taken away from the survey results. 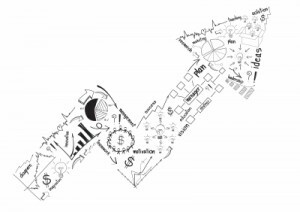 Understanding what information elected officials think is useful to hear and what overall factors shape their decision to raise or not raise rates is important information administrators can use in making their own rate case. Furthermore, administrators can become aware of their own consistency, for good or bad, in sharing the same information, regardless of how often they see elected officials, and in sharing the same information any other messenger would. As utilities and local governments face increasing operating and capital costs, while also confronting a reluctance to fund such projects, constantly trying to improve and tailor the rate case to elected officials becomes increasingly important. Be on the lookout for more findings from this research in the future! Jordan Paschal serves as a research assistant for the Environmental Finance Center and is pursuing a Master of Public Administration degree through UNC’s School of Government. Jordan earned his Bachelor of Arts degrees in Political Science and Economics from the University of North Carolina-Chapel Hill in 2014. Jordan hopes to combine his interest in local government management with a broader understanding of environmental finance issues.